You can put a link on your website, blog, myspace, facebook or twitter to BassCamera.com by using any of the codes below. 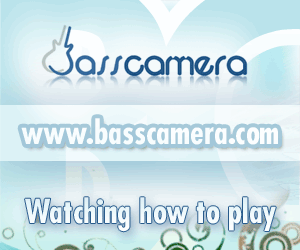 Give your users a chance to get access to the best bass guitar video-tabs website on the internet. Just copy and paste one of the codes below.